Every Sunday Hollywood Farmers’ Market shoppers make a ritual of stopping to pet Hope, the blind goat. 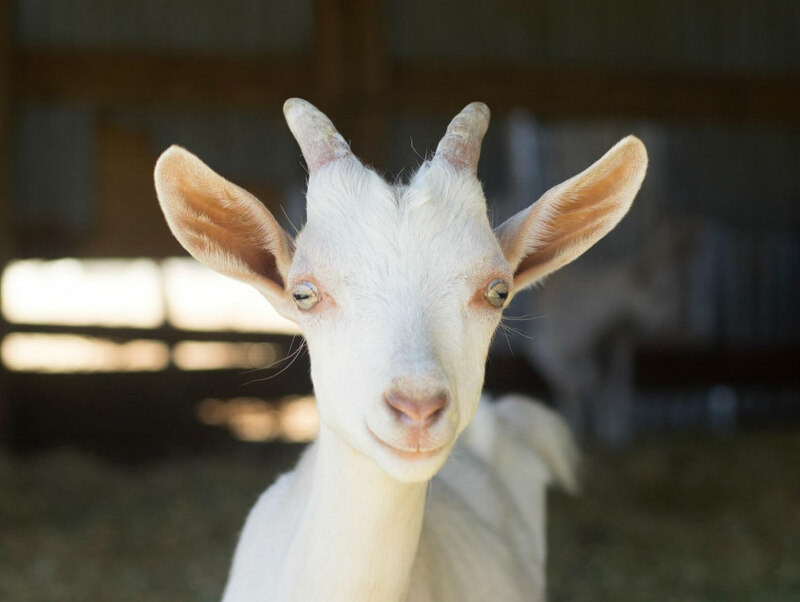 Formerly the furry ambassador for Soledad Goats—one of only a few goat cheese producers within a hundred miles of L.A.—today Hope reps a different kind of product: vegan cheese. After more than two decades in the dairy business, Soledad owners Carol and Julian Pearce converted their 20-acre Mojave farm into an animal sanctuary and gave up a thriving chèvre business to jump into the growing field of plant-based cheese imitators. “We don’t miss it,” says Julian of his meat-eating days. The British cheesemaker and his wife cut animal products out of their diets about a year ago, but their move away from conventional cheese production was as much about pragmatism as conscience. The farm’s no-kill policy, combined with the frequent births required for milking, led to a property that was overrun with goats. “We realized we couldn’t do both,” says Julian. A 2014 Indiegogo campaign tried, and failed, to raise $125,000 to help offset the costs of sustaining the large herd. “We decided to sell the goats and keep only a few,” he says. But when you’re an award-winning cheesemaker, you make cheese—milk or no milk. So the Sanctuary at Soledad Goats, as the farm has been renamed, now manufactures dairy-free varieties using natural ingredients, many from nearby farms. The “chèvres” are mostly derived from cashews, and tubs of the creamy, tangy spreads come in flavors such as sweet red pepper-shallot and lemon-lavender. “I want a good, clean-tasting cheese,” says Julian. Some offerings, like the black olive, even melt. Previous articleAsk Chris: I’ve Heard That Retail Space on Broadway Was Once as Pricey as That in Beverly Hills. How Do They Compare Now?